As part of the $750 million hotel expansion, the Hard Rock is announcing a new pool / lounge. 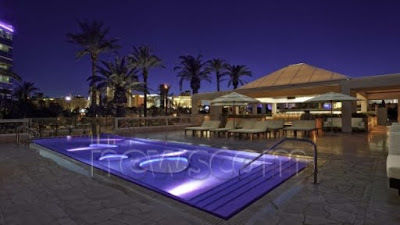 SKYBAR is located above the Hard Rock Beach Club and will offer party-goers an exclusive day to night atmosphere. SKYBAR has been a hotspot in LA for 14 years, and the Las Vegas location will look to re-create that success. When I first read the press release I was thinking this sounds like a mini "rehab" but it might be a little more low key. Source: Hard Rock Press Release.